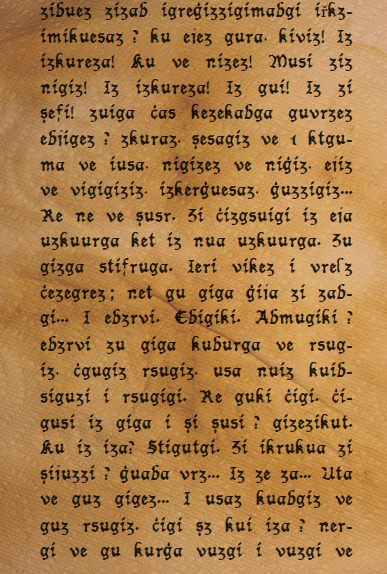 This is a reproduction of Ziz şusigiz ve zi čui Gesiugi, a long treatise belonging to the Millangivm corpus. The treatise, written in Nashta, describes cryptic rites and invocations, as well as hymns, of an obscure subculture for which Siryl goddess seems to be the main character. The book includes a detailed description of lesser goddesses which are clearly Noddian (Lilithian) in nature.